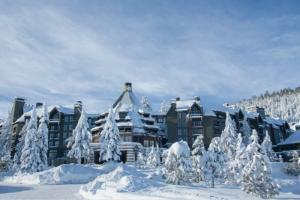 Experience The Ritz-Carlton, Lake Tahoe luxury hotel and discover the pristine beauty of this breathtaking region. Just minutes from the beaches, boating and water sports on crystal-clear Lake Tahoe, guests will enjoy the summer season's best hiking, mountain biking out our back door and world-class golfing at the nearby Gray's Crossing and Old Greenwood courses. Located 15 minutes from Lake Tahoe, 45 minutes from the Reno, Nevada airport, two hours from Sacramento and four hours from San Francisco.